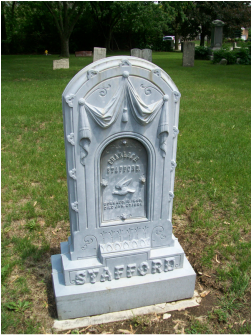 ​Bolingbrook is lucky to have two historic cemeteries where early pioneers are buried. One is Boardman cemetery, written up on a separate page, and the other is Hillcrest Cemetery. Hillcrest was originally called Barber's Corners Cemetery. The general area around Route 53 and Boughton Road was called Barber's Corners after early settler John Barber. The cemetery was renamed Hillcrest Cemetery in 1959. The oldest grave at Hillcrest is that of Hattie Martin who died July 26, 1835, as recorded on the Martin monument. There are also two stones dating from 1838, but they are in very bad shape and unreadable. 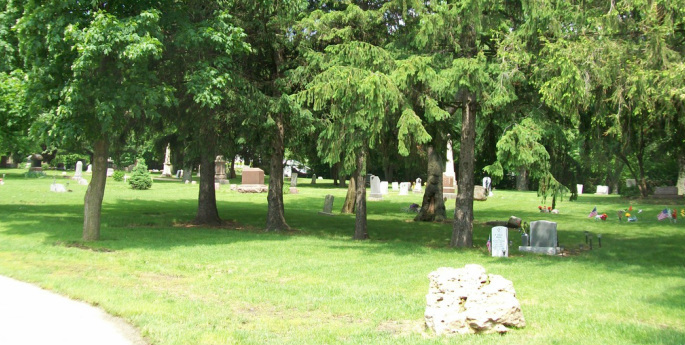 It appears that this cemetery served a wider area than Boardman, stretching down to what is now Romeoville and Lemont, and in contrast to Boardman, is still an active cemetery, with over 800 plots still available. 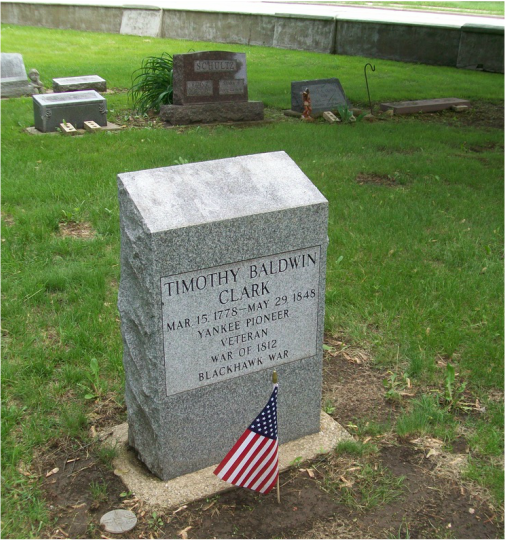 ​Veterans of many wars are interred at Hillcrest: the Blackhawk War/War of 1812 (Clark Monument below), the Civil War, both World Wars, and the Korean and Vietnam wars. ​The stone wall which runs along the front of the cemetery can be seen in the background behind the Clark monument. 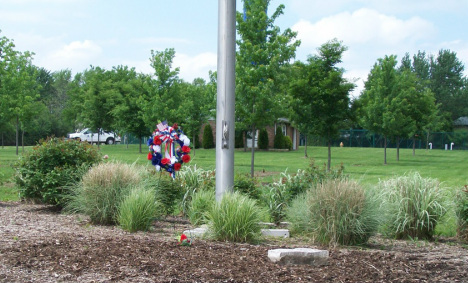 Members of the Commission place flags on the graves of veterans each Memorial Day. Pictures of other early settler monuments are below. ​A bronze plaque is mounted on the boulder to the left of the Sprague monument (above) in memory of the pioneer homestead of Thomas Jefferson Sprague (1838) and his wife Lydia Swift Godfrey Sprague. 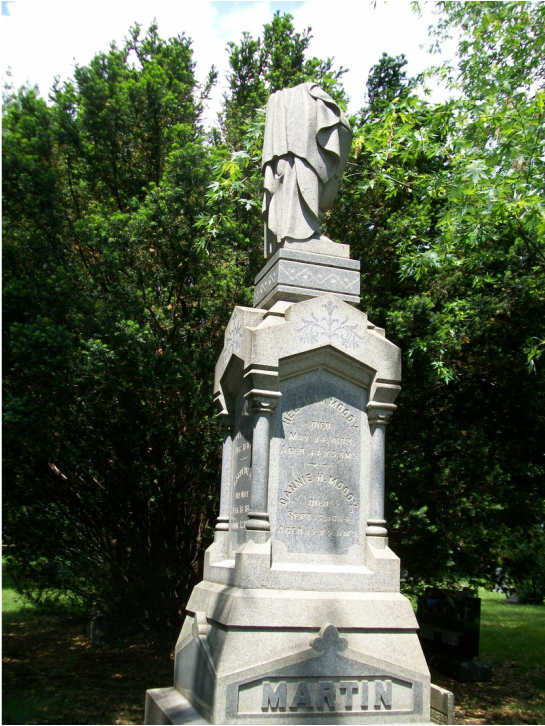 ​The Martin family monument is one of the most unusual in the cemetery. The top appears to be an urn with a graceful drape. The Martins were early pioneers, along with the Spragues and the Glovers. "On that distant immortal shore, We shall meet and part no more." If you have questions about any of the interments in Hillcrest Cemetery, please contact the Bolingbrook Historic Preservation Commission via the "contact us" page on this web site or through e-mail at bbhistprescomm@yahoo.org. The information contained on this page was excerpted from the cemetery reading done by the Will/Grundy Genealogical Society, available at the Fountaindale Public Library, and from Bolingbrook Keeps Making History, Vol. 3, compiled by James D. Bingle for the Bolingbrook Historic Preservation Commission.